Yeah!! 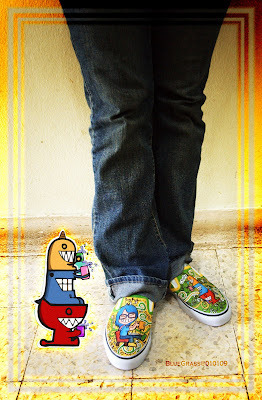 Finally I finished to paint my shoes. 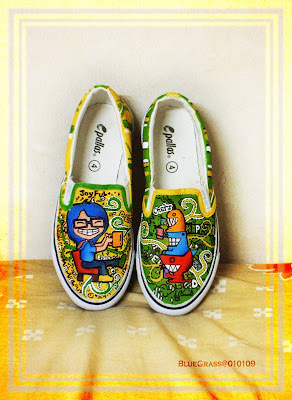 These shoes I paint few months ago, but I just finished this afternoon. 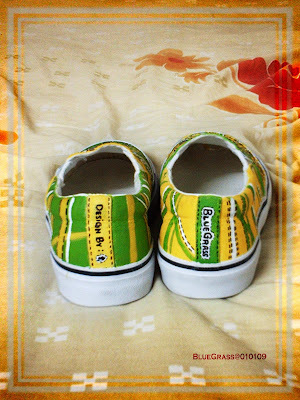 I'm still consider want to wear them go out or not, because I'm worry if them become dirty, what should I do? Wash them? I'm not sure the acrylic paint on the canvas is waterproof or not. it's incredible , how you did it? U've made it for few months. so why don't u wear it?! ^_^ it's time to show off.. I have a different opinion. I would not wear them before making sure the painting will not come off. Besides, they are an important sample of what you did before developing to other technics. Don´t you think so? By the time I commented this post of yours, you probably have already put them on and went to have an ice cream at the nearest shopping center ... ah!ah!